Ask horse owners to name their most-feared horse diseases, and chances are equine herpesvirus, or EHV, will be on the list. Recent reports of EHV in Texas, Louisiana, California, and Kentucky serve as a reminder that, with the spring competition season getting underway, it’s important for equestrians to be vigilant and take preventive measures, from vaccination to biosecurity. The virus spreads from horse to horse through nasal discharge, whether by nose-to-nose contact, aerosol droplets sneezed or coughed into the air, or shared equipment and feed or water. 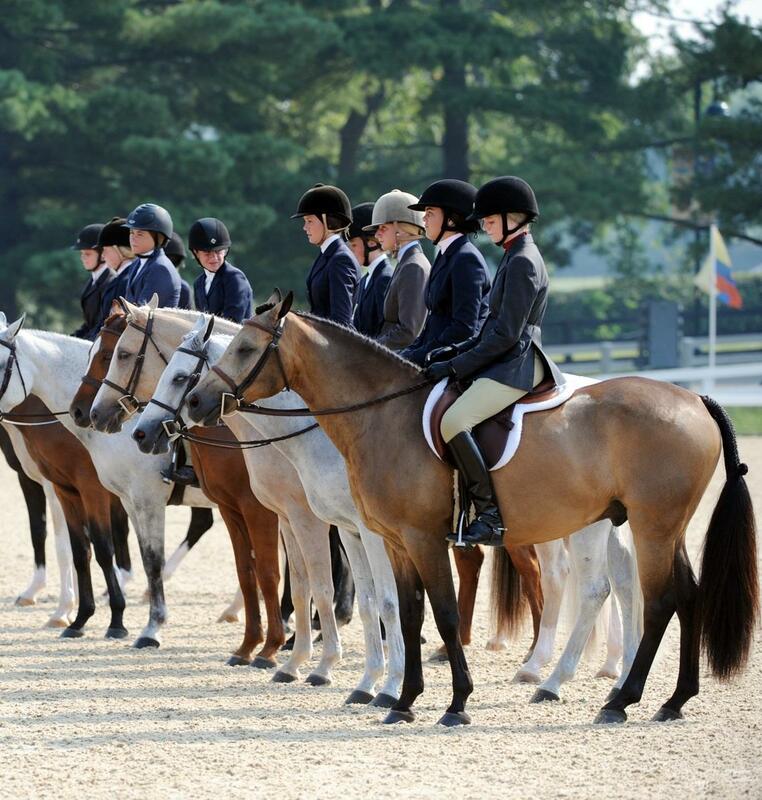 The types most equestrians are most likely to see, EHV-1 and EHV-4, often cause only respiratory illness with few long-term aftereffects, but EHV’s easy movement between horses and the fact that the virus can cause potentially fatal neurological symptoms have made it a serious concern for horse owners and competition organizers alike. Fortunately, the neurological form of the disease—which is most often associated with EHV-1 and causes a horse to lose coordination to varying degrees—is rare. And there are steps you can take to reduce your horse’s risk, says Dr. Nathan Slovis, director of the McGee Medicine Center at Hagyard Equine Medical Institute in Lexington, Ky. Slovis also noted that while there is a greater awareness and increased reporting of EHV cases, the incidence of the disease is not on the rise. “They won’t get neurologic without having had a fever,” Slovis said. “They’ll have fevers of 103 to 105 degrees, not a mild fever, but a significant fever. So if there’s a horse with a fever, don’t blow it off, especially if they just came back from a competition. Anyone with a fever should be isolated. The incubation period is 21 days, so if your horse has been exposed, they should spike a fever in a 21-day period. So keep checking their temperatures. “Now that we have sophisticated testing, we can break it down and identify one strain versus another,” Slovis added. “But the bottom line is that herpes can cause severe illness and severe disease, and I can’t tell you which horse is going to get sick and which horse isn’t, if they have it. Each horse is different, and it depends on things like their immunity, their age, their stress level. Just because a horse has it, doesn’t mean it will come down with neurologic signs, and it doesn’t mean it won’t come down with neurological signs. Neurological symptoms also can vary in degree, and horses can recover if the neurological signs are mild. “It all depends on the severity,” said Slovis. The good news, Slovis said, is that the neurologic form of equine herpesvirus is also rare. What Can You Do To Prevent EHV? But don’t just think about your horse’s own activities. Consider what the horses around him are doing, too. You may only ride your horse at home, but if his stablemates travel regularly to compete, his exposure risk will be greater. For information on vaccinating your horse against EHV, consult your veterinarian. 3. Monitor your horse’s temperature. 4. Establish good biosecurity on the farm, at competitions, and in the trailer. Even for a vaccinated horse, it’s always important to use good biosecurity protocols to reduce the chances of exposure to or spread of the disease. Don’t share water troughs, buckets, or sponges. If a barn or event facility has a communal hose, don’t use it. Use your own (and don’t share it) or remove the hose and fill your water and bathing buckets directly from the faucet. “People will often dip the end of the hose in a water bucket, and if a horse has the virus, this will contaminate the end of that hose,” said Slovis. Clean and disinfect areas in the trailer where a horse’s nose or nasal discharge might be. If you handle multiple horses, wash your hands before moving from one horse to the next. Want articles like this delivered to your inbox every week? Sign-up to receive our new and improved Equestrian Weekly newsletter here. This article is original content produced by US Equestrian and may only be shared via social media. It is not to be re-purposed or utilized on any other website aside from usequestrian.org.